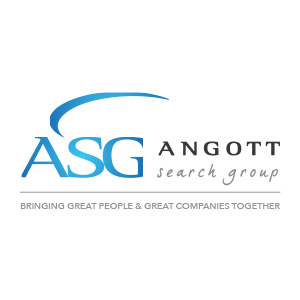 Angott Search Group has partnered with an $18B bank in their search for a Director of Strategic Data Management. This person is responsible for institutionalizing data governance strategy, policies, processes, toolsets, and organizational changes that enable enterprise data governance and managing data as an asset of the company. Support the Data Governance Owner by turning established data governance strategy and objectives into tactical implementation and execution of processes, tools, and organizational change. Prepare content, coordinate, facilitate, and perform follow-up activities for Data Governance Committee meetings. Establish, coordinate, and manage the task execution of tactical working groups established by the DGC. Perform cross-business department coordination efforts by Data Owners and Data Stewards. Act as a primary point of training for Data Owners and Data Stewards. Act as final reviewer and coordination point for enterprise-wide master data management and metadata management efforts (data definitions, processes, tools, strategy, etc.). Assist with the creation of data governance processes and policies and coordinate roll-out and assurance activities with Data Owners. Apply creative problem-solving skills to data governance efforts in a way that satisfies business leaders’ needs and lays the groundwork for future successes. Directly supervises one or more associates as assigned by the Manager. Carries out supervisory responsibilities in accordance with the organization’s policies and applicable laws. Ensure direct reports have completed required compliance training and are adhering to all internal procedures and controls as it relates to bank policy, laws, regulations and the bank’s BSA/AML Program. Responsibilities include interviewing, hiring, appraising performance, rewarding, and disciplining associates. The incumbent has the authority and the appropriate influence to make recommendations regarding hiring, firing, advancement, promotion, or any other change of status of other associates within the guidelines of the bank’s procedures and guidelines for such change of status events. The incumbent provides training, planning, assigning, and directing work assignments and schedules; addressing complaints and resolving problems. Bachelor’s Degree in Business, Finance, Information Systems, or other related fields. 10 years working experience with the business and technical aspects of data governance, data integration/warehousing, and data and metadata management implementations required. Hands-on experience working with complex database structures and systems required. Technical expertise to interpret and document data warehouse design, ETL Processes, and field level definitions required. Exceptional communications skills to work closely with business leaders required. Proven ability to resolve complex problems across multiple business stakeholders in an effective and timely manner required. Demonstrated understanding of project coordination/management preferred.